There is a giant structure constructed of two parts on this map. 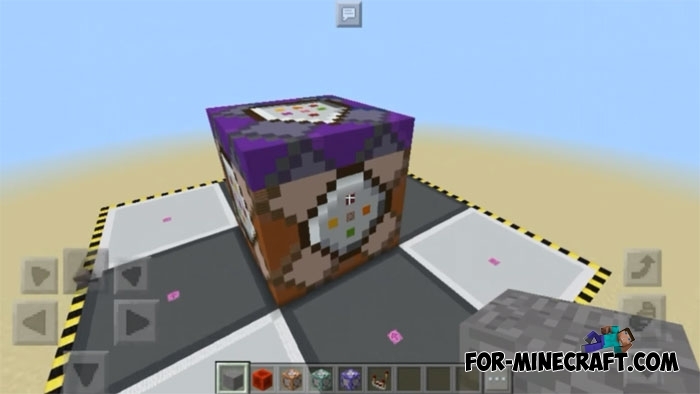 There are two platforms connected to the command blocks and interacting with each other. The meaning of the map is duplication, but on a completely different scale. Just put any block first platform (a small platform, in one of nine cells) and after a second you will see the process of copying on the second platform. Your standing block will be gradually duplicated and enlarged dozens of times. 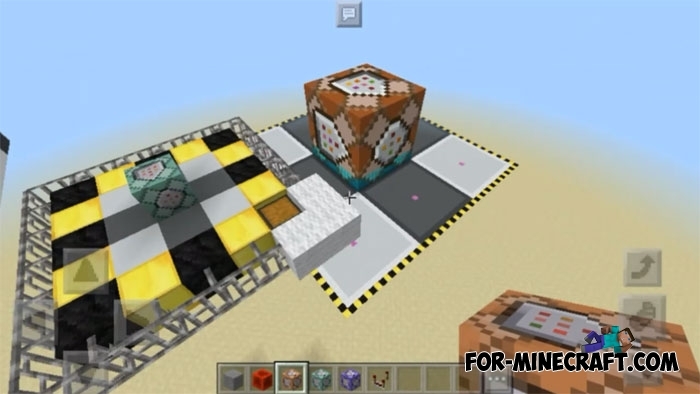 Also, the mechanism supports block changes and deletion. I do not think that many people could build such a big mechanism. 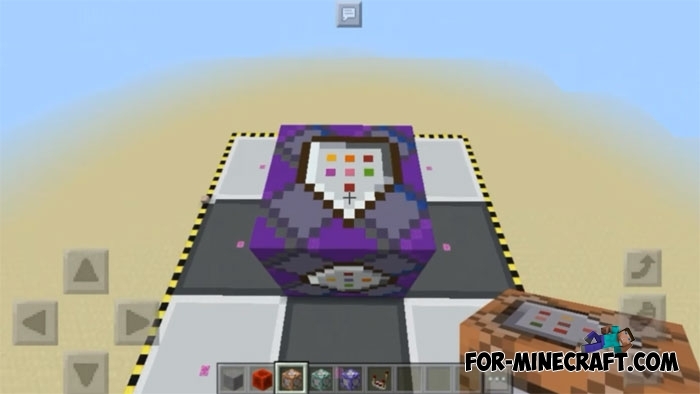 It's a lot of work and a lot of knowledge about how command blocks work in Minecraft PE.